Urethane maxi discs are used for heavy cleaning and purging. 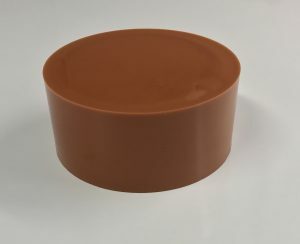 Urethane maxi discs that are manufactured by Plan Tech come in different styles and sizes. We also offer custom made polyurethane maxi discs to meet your desired specifications and industrial application needs. The special cup disc (SCD) has backups and reinforced discs. The backups are usually manufactured to be oversized and this helps to eliminate bypass. The special cup disc comes in sizes of 2in – 24in and is available in different colors and durometers. Urethane mandrel and construction pigs are available and produced with custom made brushes. Sizes range from 4in to 48in. Plan tech manufactures the urethane decoking pigs, urethane line boar pigs, urethane multi-line and custom made urethane pigs. Our urethane maxi discs are made from 100 % pure urethane and are used as aggressive cleaning pigs. We use our state of the art in house tooling in the production of urethane Maxi discs. This is to ensure that all our pipeline cleaning pigs are of the best quality, offering the best value and deal in the market. Are you interested in cast Urethane Maxi Discs? Please Contact us so we can help solve your requirements and work with you on your specific application!